Easy-to-use workforce management software for managers who need flexibility. "Manage the workforce of your team"
* Employee Scheduling and Workforce Management: With the web based tool you can access it from anywhere and the drag and drop feature makes scheduling company meetings and employees scheduling easier then ever, this software keeps track of employees dead time, vacations and unavailabilities. * Team Communication, Employee Area and Payroll Integration: you can send mass emails, sms or alerts to reassure that everyone get the memo, you can also share documents and employees con check their schedule and make Requests to their supervisor. Pricing can be a little high when using a lot the features of mass SMS since you pay for each SMS you send, on top of that you have to pay a fee for each employee you manage through this tool. There is much to consider when organizing employee schedules, and the complexity increases as the number of staff increases. This software makes this somehow easy, you should definitely try it! Manage Employee meetings, memos, emails and make sure each team has the best possible way to have an effective communication. The Kronos Workforce Central® suite was built on the belief that you shouldn’t have to sacrifice the features and functionality you want for the simplicity you need. It puts time and attendance, scheduling, absence management, HR, payroll, hiring, and labor analytics into a single integrated workforce management system that can help your organization be more productive, reduce labor costs, minimize compliance risk, and improve employee engagement. Deputy provides software for Easy Employee Scheduling, Time & Attendance and Communication. SaaS Workforce Management Solution that empower managers and employees to work smarter. All team members stay in constant contact allowing for instant shift changes, updates and insights. Planday is used by different sized companies in a variety of industries such as Restaurants, Hotels, Retailers, Call Centres, Fitness clubs, etc. Cognistix Workforce Management is a software that automates labor scheduling, improves retail execution and enhances field data collection for merchandising and experiential marketing. Precursive is a nimble resource management app that anybody can use, combining scheduling, timesheeting and reporting in one easy-to-use space. Workforce management solution for organizations with complex labor requirements and compliance concerns. NICE offers solutions that lead their respective categories. * We monitor all Ento reviews to prevent fraudulent reviews and keep review quality high. We do not post reviews by company employees or direct competitors. Validated reviews require the user to submit a screenshot of the product containing their user ID, in order to verify a user is an actual user of the product. Hi there! 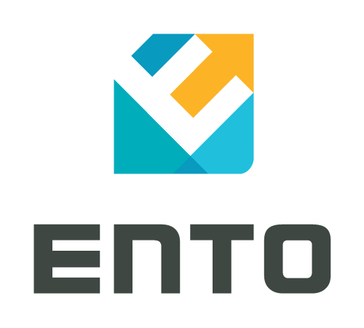 Are you looking to implement a solution like Ento?